Last Sunday, February, 28th took place the best regarded Academy Awards for movies, a global event that everybody talks about, not less did the social networks. 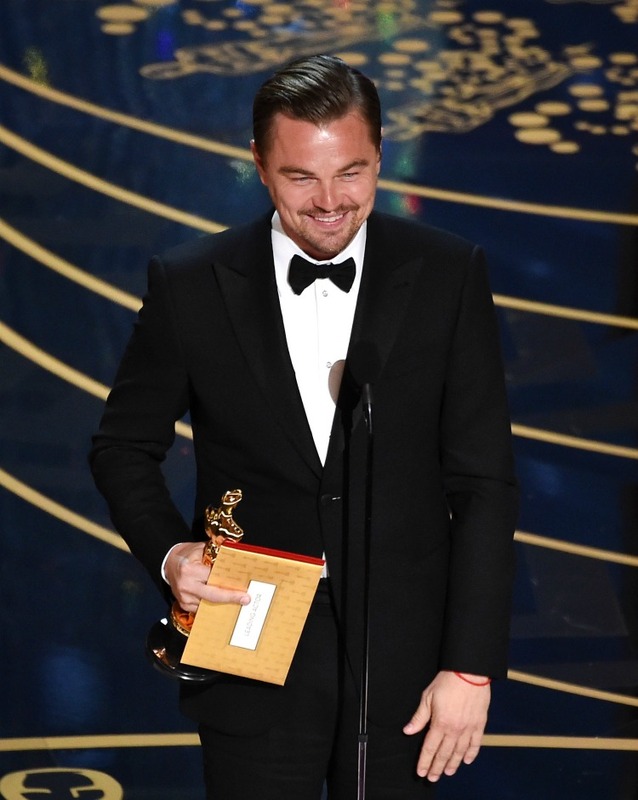 However, the central character of the ceremony this year was Leonardo DiCaprio. Twitter and Facebook where boiling with comments and memes following his nomination, but the culminating moment came when DiCaprio finally got his golden statue. There was so much echo of the event that when DiCaprio step on the scene to receive the Oscar, 440,000 tweets per minute were sent. 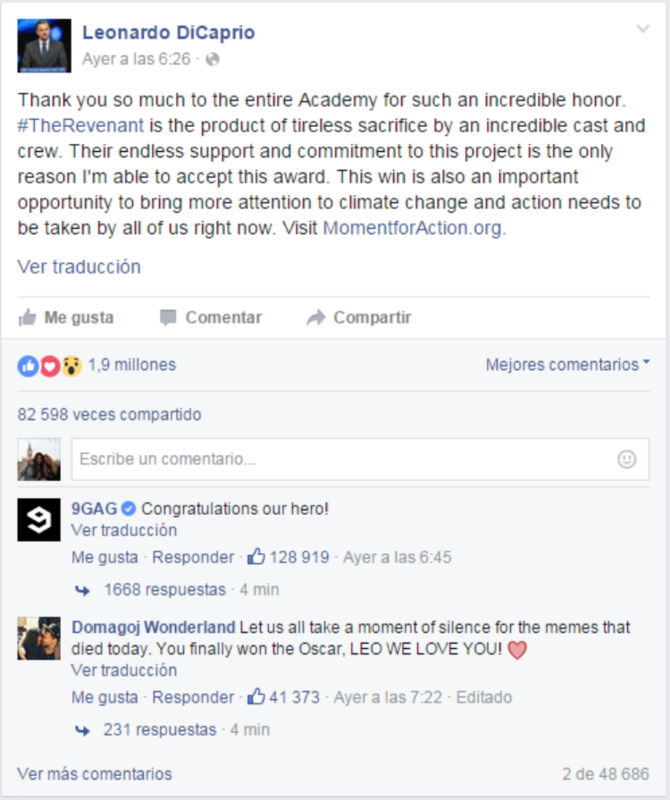 It became the most commented moment in the history of the Oscar in social networks. Until then, the holder of the record was the famous selfie of the celebrities in 2014 that generated 225,000 tweets per minute. Twitter was not the only social network where Leonardo had great repercussion. His post of gratitude on Facebook reached almost 2 million reactions, more than 48,000 comments and was shared more than 80,000 times. The official accounts of both the Academy and ABC Network broadcasted the ceremony and everything that happened inside the Dolby Theatre. There was a lot of repercussion on the Internet. 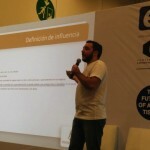 TV channel TNT América Latina broadcasted the awards live. The audience could interact with the nominated and the fans with the hashtag #OscarsEnTnT, which generated almost 4 billion worldwide impressions. In Spain, the hashtag #oscars was Trending Topic on Sunday, 28th for 12 hours, and on Monday, 29th for 10 hours, according to Trendinalia.